25% initial deposit and the balance on completion when you are fully satisfied. 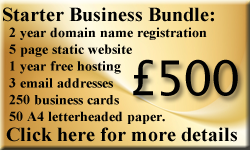 Alternatively, look at paying for your new website in instalments. From static web pages to e-commerce websites. From static web pages to e-commerce websites with updatable content, we can accommodate anything you need. 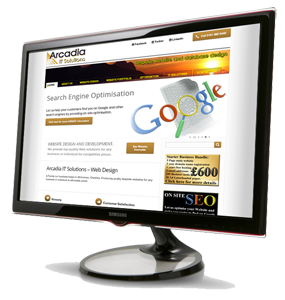 Let us help your customers find you on Google and other search engines by providing on-site optimisation. 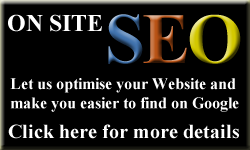 Let us help your customers find you on search engines. "Why pay for ANY advertising if you cannot give a link to show potential customers what you have to offer?" Based in Altrincham, we specialise in producing quality bespoke websites for any business or individual at affordable prices. Whatever your business needs, we can accommodate you. Offering the complete package, we will talk you through the process of getting your website up and running with the minimum of fuss. At Arcadia IT Solutions, we will not try and confuse you with technical jargon, and will explain every step in plain language so you know exactly what any costs are for, and explain exactly what is needed to keep your website up and running for years to come. 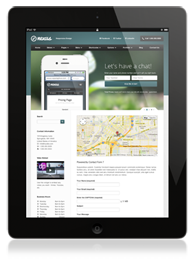 Read more on our Website Design page. If you are unsure of what you need, give us a call and we will give you a completely honest evaluation of your website or Search Engine Optimisation requirements We will not promise you something that we know is not possible. None of our websites are published until our clients are completely satisfied with the results. Only then will we publish live on the internet. Don't just take our word for it, read what our customers have to say about the quality and the level of service we provide on our testimonials page. With over 20 years in the IT Industry, we have the knowledge and experience to work with people from all walks of life and all levels of computer literacy. Whether it be technical IT personnel to tradesmen with little computer experience, we will talk to you in a language you will understand. With more and more people using mobile devices such as the Ipad, Iphone and Android to access the internet, it is important that your website looks and functions properly on these platforms. Let us create responsive designs that work for you on all these devices, letting your customers access your website from anywhere. 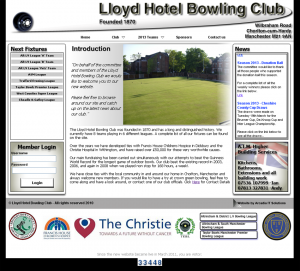 A bespoke, fully dynamic website created for one of the top South Manchester crown green bowling clubs. The site incorporated some 'Flash' animation, along with a gallery to display photographs taken from matches and many social events the club hold. All this linking to a database that records all club fixtures, results, appearances and match reports that can be viewed by all. With a 'members only' area where club members can access each others phone numbers and other club confidential information, along with a members messageboard, this website is completely fit for purpose and is evolving season on season as more facilities are added. We found Arcadia IT Solutions to be extremely professional whilst at the same time being very approachable to discuss problems and concerns as our website was being created. Nothing was too much trouble and they are prepared to go that extra mile to meet their customer’s needs and expectations. Arcadia IT Solutions set such high standards for themselves that the end result for the customer is complete satisfaction. Their customer service is second to none and we would have no hesitation in recommending them to other people. Direct links to pages on the website that are not included in the menus. © Copyright Arcadia IT Solutions 2013 - All Rights Reserved.